Claws & Feathers 3 was available as a giveaway on October 6, 2018! How would you improve Claws & Feathers 3? I decided to try reducing the lenght of my reviews by removing certain sections and combining others. Partly to save a little time as my life has become much buisier of late. I've tried to include all the links such as the FAQ's thread and the giveaway teams contact link, most of what I've removed can always be found in the game discussion forums. 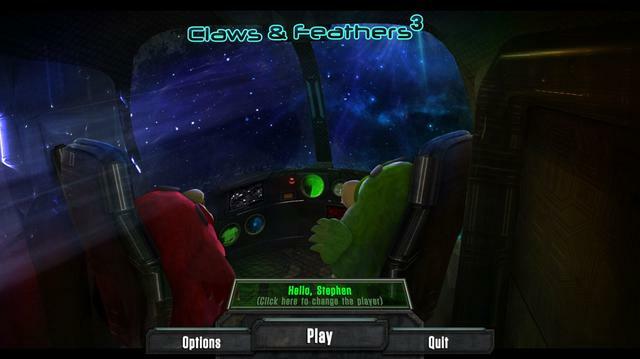 Claws & Feathers 3 is a match 3 game, but with a difference. 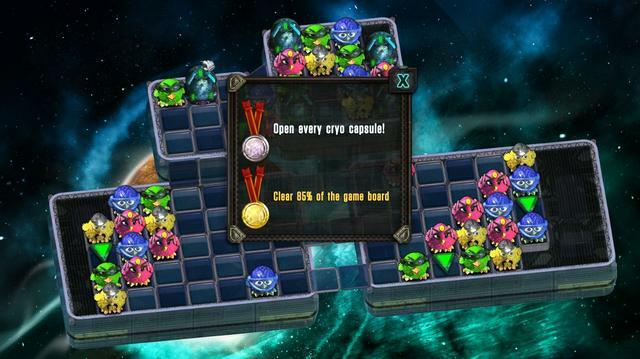 Puzzle elements have been introduced to give the match three genre a new lease of life. 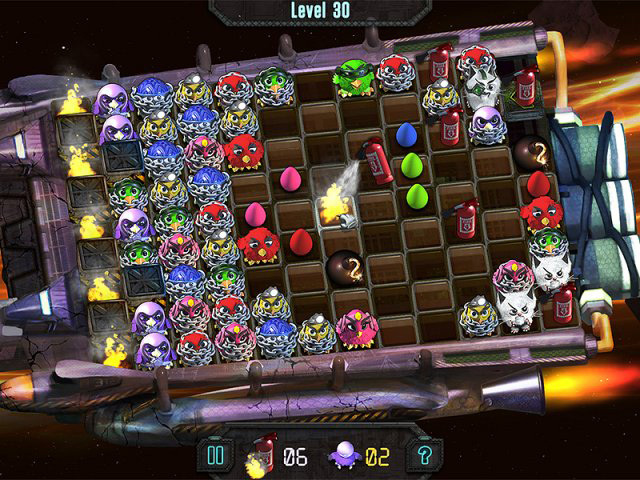 Personally I've grown tired of match three's but after playing this I scored it a 9 out of 10. It's definitely well worth downloading, even if you are not a match three afficianado. Reference accessed HERE 6th October 2018. You can also see community comments about Claws and Feathers 3 via the same link above and in the Big Fish forums HERE and you can see game play videos of Claws and Feathers 3 HERE, HERE, HERE & HERE. 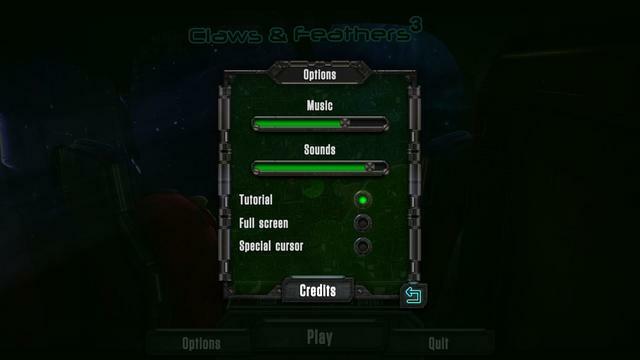 The installed game is 342MB in size and installs to C:\Program Files (x86)\MyPlayCity.com\Claws and Feathers 3. 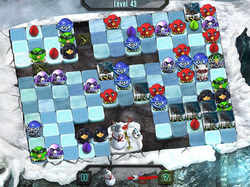 Claws and Feathers 3 is a match three game with puzzle elements incorporated into the game. You don't get a traditional match three board, instead you get various colored birds scattered in small groups in a large area, with lots of spaces in between. 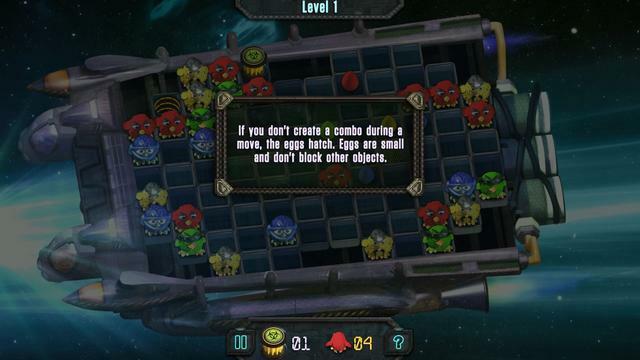 There are also colored eggs that are situated randomly around the game board. 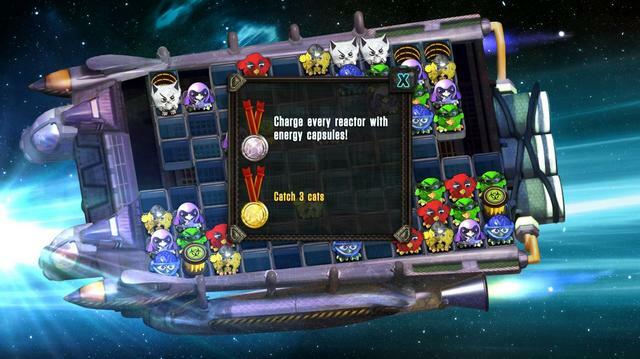 The aim of the game is to recover energy capsules and place them into the reactors. To return an energy capsule you need a clear run of empty squares. 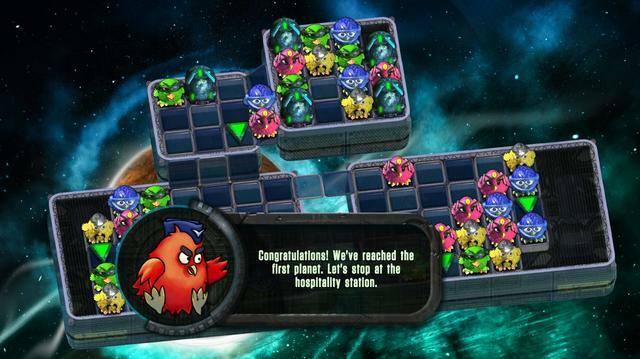 To clear a path to the reactors you have to create groups of three birds of the same color. 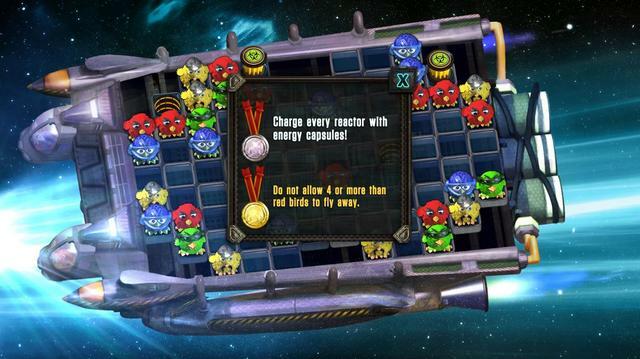 At the start of each level you are given the level requirements, for example level one requirements include charging every reactor with energy capsules and not allowing 4 or more red birds to fly away. The latter requirement if fulfilled gives you a silver award, Not allowing 4 or more birds to fly away gives you a gold award. 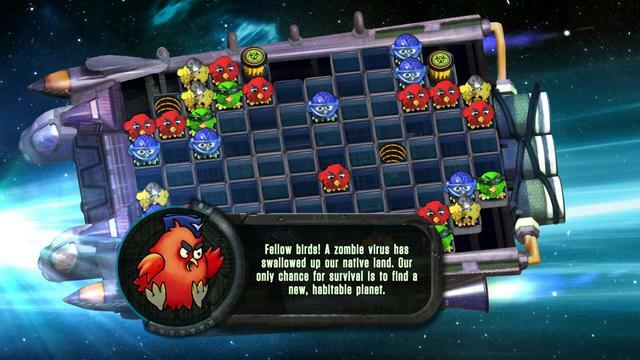 You can move any bird to any position on the board and not create a match three, however, if you don't create a combo all eggs on the board will hatch and create more obstacles that block clear paths for the energy capsules to be removed. Eggs can be moved through and you can place birds of any color on them if you are creating a combo of a different color. 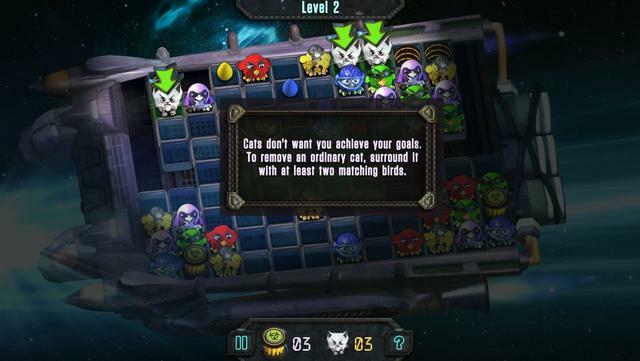 To make the game more interesting Cats also escaped from the zombie planet, and they will try to create as much havoc as possible. 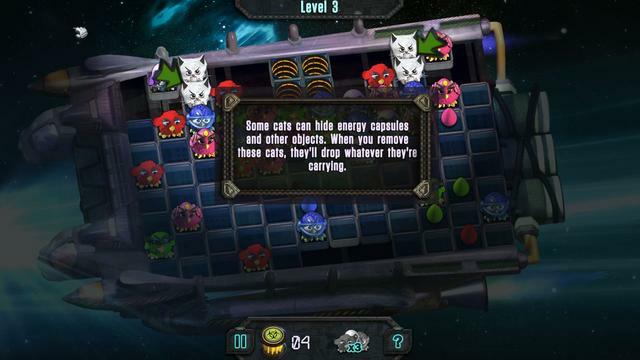 Cats may block or hide energy capsules. You cannot remove cats by creating groups of three or more. Instead, you have to surround them with at least two birds of the same color, who will then fly away with the cat. 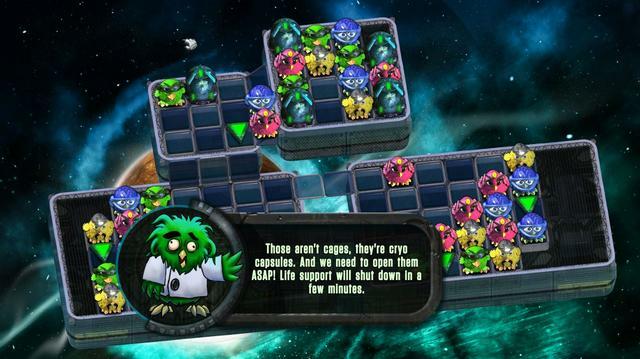 Also, some birds in later levels are stuck in cryo chambers and are running out of oxygen. You have to locate the keys and unlock them before they die. Each level has different goals, for example, the second level requires you to not only charge every reactor but catch 3 cats, the third level you must not create combos of more than three birds of any color; in the fourth level you have to open every cryo capsule for a silver award and clear 85% of the game board. If you achieve the first requirement first, that ends the level, so make sure you achieve the second requirement first. 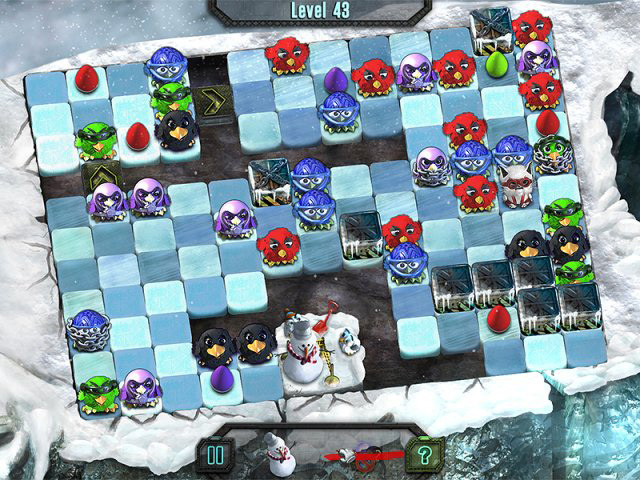 Other requirements include clearing a level within a specified number of turns (level 5 asks you to complete the level in 6 moves) and free the chained birds who cannot be moved by including them in a combo. 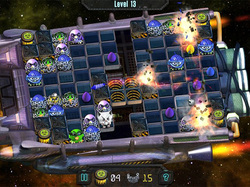 Each level has two requirements, silver awards are given if you achieve the first, and gold if you achieve all requirement. You can check to see what your level requirements are at any time by clicking on the small panel at the bottom middle of the board. 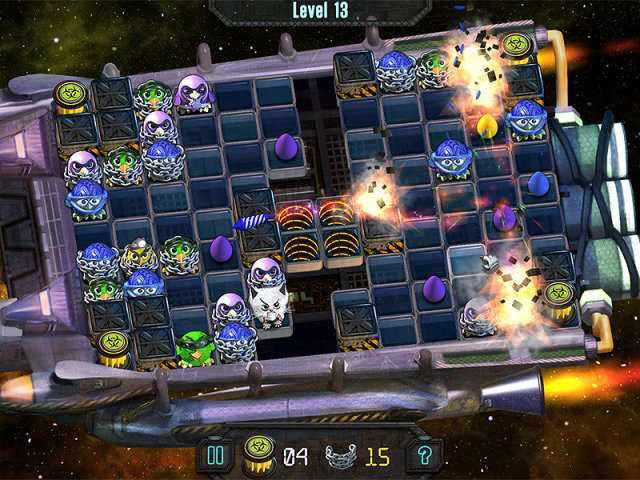 Claws & Feathers 3 is an excellent take on the match three genre, adding new elements that I've personally never seen before (I haven't played the first two in the series despite having purchased them via Steam. The first two games are on sale with 40% off as a bundle with Treasures of Montezuma 3.4 & 5 for £13.63/$19.15 HERE. I haven't played a match three in ages as I'd become a little over dosed on them over the last several years; however, I throughly enjoyed playing Claws and Feathers 3. The addition of puzzle challenges gave the game something extra that kept me glued to the game much longer than I normally spend on an arcade game. I highly recommend you check this game out. Personally I'd score this game a 9 out of 10 for it's refreshing game play. I was having a grand old time playing this game after I installed it, yesterday. Today, each time I tried to run it, it crashed. A little pop-up message asked me to send the crash report to the developer. Looking at the info contained in the report, I am not comfortable sending it: has a massive list of Windows related files, all including where on my computer they are loaded. Has anyone else had a crash problem with this game? Have you ever sent a crash report to a developer and gotten a "workable" response? I was having a grand old time playing this game after I installed it, yesterday. Today, each time I tried to run it, it crashed. A little pop-up message asked me to send the crash report to the developer. Looking at the info contained in the report, I am not comfortable sending it: has a massive list of Windows related files, all including where on my computer they are loaded. Has anyone else had a crash problem with this game? 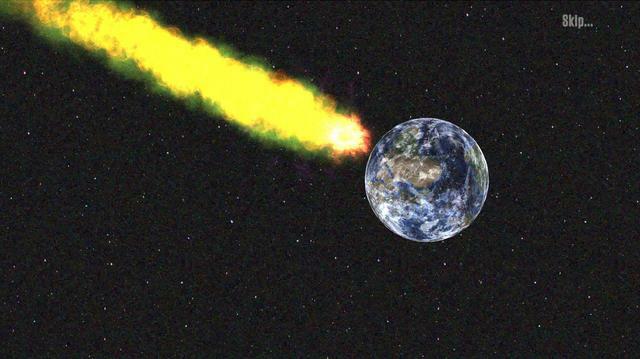 Have you ever sent a crash report to a developer and gotten a "workable" response? Thanks. DianaAspenHill, there is usually no point in sending the crash report to the developer because it won't fix the issue until the game is next updated (if the developer so decides to see the reports), if ever. Ok Windows 10 x64 Pro. Nice twist on M3 for sure. Just be careful to read the level's requirement to avoid getting a "fail" message - like don't let more than 4 RED birds fly away. Silly me in heat of initial play skipped over the RED word & figured don't let more than any 4 birds fly away. Course that made a "fail", lol. Nice set of slider choices, plays fast. Keeper. Thanks GOTD. Good fall, winter game. Ok Windows 10 x64 Pro. Nice twist on M3 for sure. Just be careful to read the level's requirement to avoid getting a "fail" message - like don't let more than 4 RED birds fly away. Silly me in heat of initial play skipped over the RED word & figured don't let more than any 4 birds fly away. Course that made a "fail", lol. Nice set of slider choices, plays fast. Keeper. Thanks GOTD. Good fall, winter game. Thanks for the heads up on that Steam bundle. I may get it. The only thing is I am not really hyped about the last 3 Montezuma games. I personally liked the first 2 of the set. But I like the Claws and feathers games..I like the "requirements" so it's a different type of game play. I only played for a few minutes so far, but I like the graphics - nice and bright, with cute characters and smooth effects. I'm looking forward to playing this as a fun match-3 variation! Thank you, GAOTD and KCSoftwares! In order to download, it didn't even ask for any info, or ask me to share, or go to any link, or anything! (Nice!) I only played for a few minutes so far, but I like the graphics - nice and bright, with cute characters and smooth effects. I'm looking forward to playing this as a fun match-3 variation! Thank you, GAOTD and KCSoftwares! I was able to install and run the game without issue on my laptop, but it won't run right on my wife's laptop. The game seemed to have installed without issue, but when I start it, it sits on the MyPlayCity window for several seconds but won't open the game window once the game itself has loaded. It is as if the game window is active, but nothing is displayed. I can hit the Windows key to go back to the desktop. The game window is in the icon tray, but shows as blank when I hover over it. I've tried reinstalling and running it in compatibility mode, all without success. Her laptop is a recent model Dell Inspiron with an Nvidia graphics card on-board. This is the first giveaway game we've had this problem trying to run. Gary, I am having the same issue. First time I've had an issue with a game and I've been coming here for over 10 years! The computer is running Windows 10, by the way. I've tried setting the executable to run using both the on-board Intel graphics drivers and the discrete Nvidia drivers. Both without success. I'll post an update here if I figure anything useful out. I saw your comment Joe and will let you know here if I have any success in figuring it out. Joe, the game started working for me after a reboot. I've not idea why. This one is refreshingly different! Each level is a new permutation, and there's some nice creativity in the level design. I thought I didn't need yet another Match-3 game, but this is not like the others. Cool! I am not a big fan of Match3 games but I always give a lot of weight to Whiterabbit-uk's reviews and based on that, I decided to try this game. Quite happy I did! Downloaded and installed fine on Win10 Home x 64. As always, paused Avast AV and Zemena AL for the install. The game looks gorgeous on a full HD screen! Even better with the room lights out! Game play is definitely a fun twist on the M3 genre. I would prefer the bird's dialogue at the beginning if each level be shown all at once instead of having to click and have one go out and another come in. That's just a personal preference. 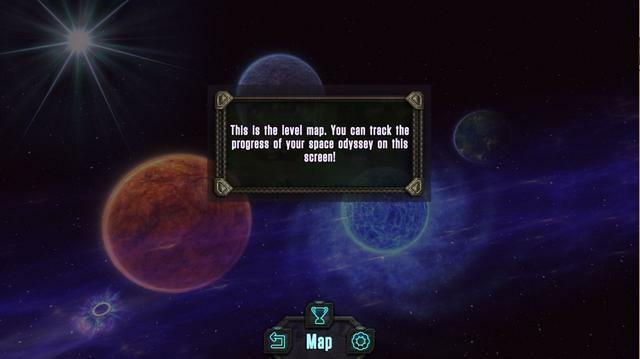 I've gotten through the first 3 levels and look forward to playing more later when time allows. This may be the first time I am actually excited about playing a M3 game! That is saying something and is the best review of any I can offer! Thank you to Stephen, MPC, Alawar and GGOTD! I am not a big fan of Match3 games but I always give a lot of weight to Whiterabbit-uk's reviews and based on that, I decided to try this game. Quite happy I did! Downloaded and installed fine on Win10 Home x 64. As always, paused Avast AV and Zemena AL for the install. The game looks gorgeous on a full HD screen! Even better with the room lights out! Game play is definitely a fun twist on the M3 genre. I would prefer the bird's dialogue at the beginning if each level be shown all at once instead of having to click and have one go out and another come in. That's just a personal preference. 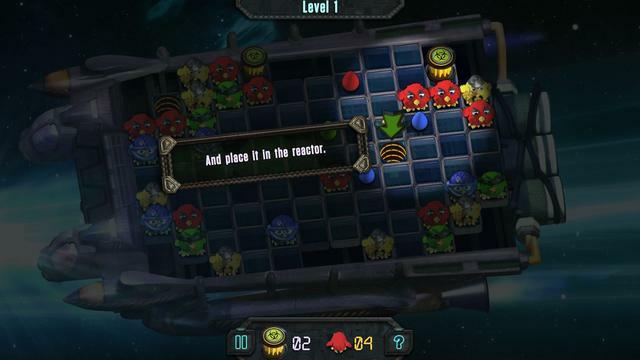 I've gotten through the first 3 levels and look forward to playing more later when time allows. This may be the first time I am actually excited about playing a M3 game! That is saying something and is the best review of any I can offer! Thank you to Stephen, MPC, Alawar and GGOTD! Just to add... I am LOVING playing this today! Had gotten stuck on Level 5 determined to complete it in 6 moves and refusing to take the "failed" and after about 10 times I did it! Now onto level 8. A really fun game! I have to give this game a thumbs up, because it installs well, and runs perfectly. I'm running Win 10. The game graphics are cute, but it is one of those that keeps adding pieces to remove, while one is trying to remove others, and for me, that is not fun, it is stressful. I'm sure there are people who will enjoy it as it is. I found that everything worked as it should, and it even ran without my task bar being stuck to the bottom of the screen, which has been happening often, with the latest games. Installed fine, and it's a lot of fun! It's a match 3 game that is way different than any other I've played. 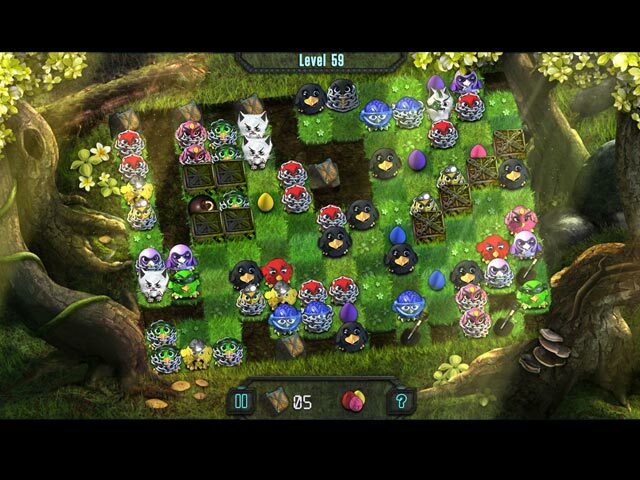 Really cute game, and quite challenging. However; it keeps crashing during tutorials in the beginning when it asks you to select a certain character or item. No way to end unless ctr-alt-del. Hi Kristi, go into compatibility mode via properties (right click on the installed games executable or the shortcut and select properties from the drop down menu). Change the compatibility mode for the operating system the game is running in, for example, when I checked mine it said it was running in Vista (I have Win 10 Pro installed). Also, ensure the Admin checkbox is checked. If the game still has problems try changing some of the graphics options and resolution. Avast: DE-activated, Spybot (installed last week) Off (all parts, via Task Manager) etc. I had the same problem two years ago, where I couldn't install any game giveaways or giveaways for several weeks. I went as far as to contact Microsoft because I'd just replaced my motherboard at the time and thought it may have been an issue with the operating system as I thought the operating system was only for new systems. I'm not bothered to inform them that I was upgrading my system a si have had to do previously. The operating system worked perfectly once I'd replaced the old motherboard with the new one (which was exactly the same model). anyway, they connected to my desktop and discovered I had an anti-malware program running in the background, which I'd totally forgotten about. There were no outward signs that it was running, that is running in stealth mode. I'd installed it as a freebie some months previously, then thought I'd disabled it, then forgot about it. When I allowed the Microsoft engineer to delete the software, I was then able to download and install all giveaways. André Uwe Dürner, Also had this problem until I uninstalled Avast completely. Even when you disable all shields it still interferes.